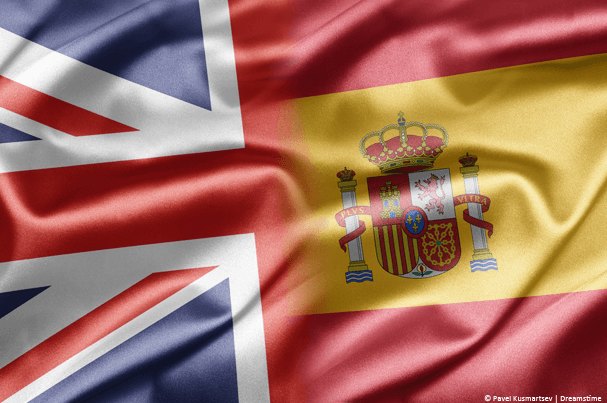 We’ve been getting a lot of requests asking us how you can watch British TV in Spain so we’ve put together this guide to help you achieve that. As you know British TV is some of the best. We’re always disappointed when we travel abroad at how poor the TV selection is and if we’re in a none English speaking country then watching TV from home in the UK is somewhat of a comfort especially if we’re travelling for long periods of time. So if you’re a British expat, going on holiday and don’t want to miss your favourite programmes or you just have a love for British TV and you’re in Spain for whatever reason then today we’re going to show you how to watch British TV in Spain. If you haven’t previously heard of them, you’re going to need a VPN service but below we’ll explain all and show you where to get one and how to use it. No technical skill required! This method will let you watch BBC iPlayer, Sky Go, ITV Player and all the most popular UK TV services, plus a few lesser known ones too. The easiest way to watch British TV in Spain is to do so on a computer or laptop. You can also use a tablet and if you’re really desperate then a smartphone will work too. 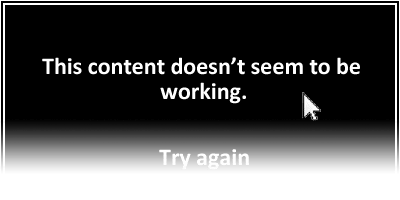 All of the UK online TV services are blocked outside the UK so if you try to access them in Spain you’ll be told it’s not possible with a message similar to the one below. To bypass this block, you need to use a totally legal service called a VPN. VPN stands for Virtual Private Network and is a way of encrypting your internet and routing your connection via another location. The upside is you assume the identity of that location and with a VPN the websites you visit will think you’re in the UK. So TV streaming sites will let you view them because they think you are in the UK. First thing is, don’t panic, they sound more technical than they are, but thousands of people from teens to pensioners make use of them daily and with just 1 or 2 clicks you’re set-up and ready to go. Below we’ll show you where you can get a VPN and then further down how to use it. VPN services have exploded in recent years and they’re now offered by thousands of different companies. Finding a good provider can be difficult in the sea of services. There are two critical features you need to be aware of before getting a VPN. Firstly they have to have a “UK server”. Secondly because you’re streaming video all the way from the UK to Spain you need a VPN service that is fast otherwise you’ll end up with buffering. We’ve been reviewing VPN services for the past 4 years and put together our three top VPN providers to watch British TV in Spain. We recommend using NordVPN because they’re one of the easier services to use and they’re also one of the cheapest. Feel free to take a look around though and do your own research. Just click a provider’s name below or the green button to visit their website. Once you’ve signed up to a VPN provider above you’ll be given your login and password details. Next you should decide what device you want to watch on. You can alternate between devices so you can use it on your laptop and a tablet, you aren’t just limited to one. Once you’ve decided what device you want to use it on then download either their software for your PC or Mac desktop or laptop from their website or their app for Android or iOS from your app store. If you want to use the service on a tablet or phone then you must have the TV service apps installed while in the UK, for example the BBC iPlayer app, the ITV Player app etc. It’s not directly possible to download these in Spain, there is a workaround although it is a little bit more involved, see the following article if you’re interested. For a desktop or laptop the process is much simpler. Firstly launch the VPN software or app and connect to their UK “Server”. Once connected all you have to do is visit the TV provider website on your desktop or laptop. If you’re on a tablet or phone just launch the TV service app. That’s all there is to it. You can now watch British TV in Spain and other countries. Below we show you an example of using NordVPN on a Windows desktop or Laptop and it’s exactly the same on a Mac. Their apps for tablet and phones are even easier. 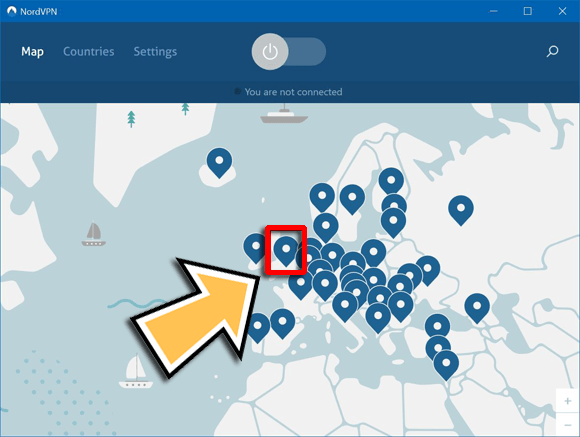 All you have to do with NordVPN is select United Kingdom (1.) and then press Connect (2. ), the software takes care of the rest. Once you’ve connected you can watch the following websites plus any others based in the UK that we haven’t listed. If you’re stuck or have any questions please feel free to post them in the comments section at the bottom of this page. Hi Peter, It’s really easy to get set up. It’s just a small app you download for your laptop, tablet or smart-phone. It’s probably easiest to watch on your lap top. Is there anything specific you needed to know?